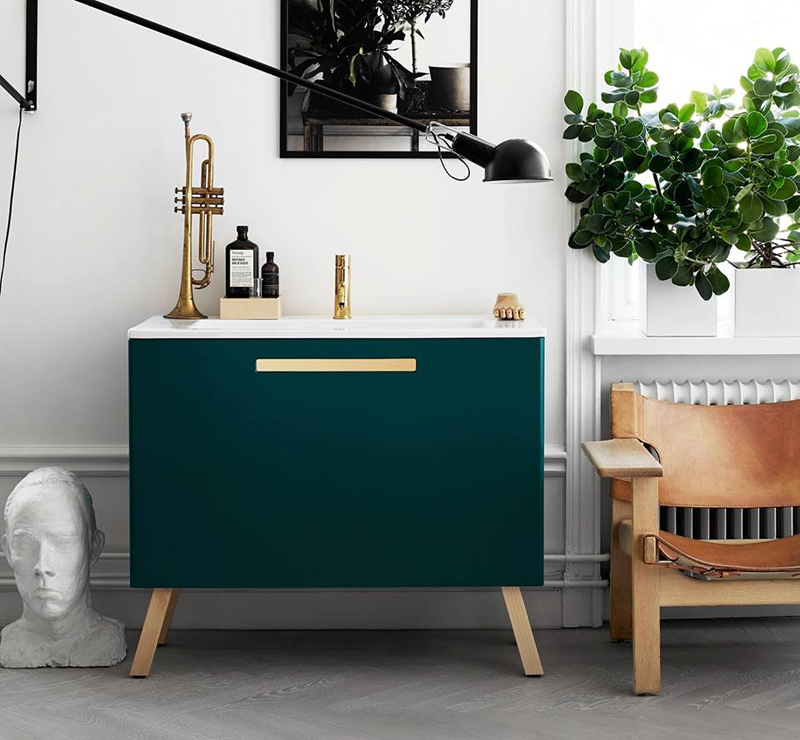 Swoon has just released new colored cabinets in shades of emerald and what they call "September Lingonberries" along with these gold and copper taps, which together is just, wow! Seeing this gives me a serious bug to renovate our current bathroom, though that's not happening any time soon. Although if you have the itch like me I recently found a website that seems pretty handy for connecting your reno needs to a local contractor (and I wish I had known about this last year when we remodeled our kitchen!). If any of you try it out leave a comment below, I'd love to know! In the meantime I'll just have to pretend my current bathroom is just as nice as this green/gold combo. Such a gorgeous cabinet! Love the colour!